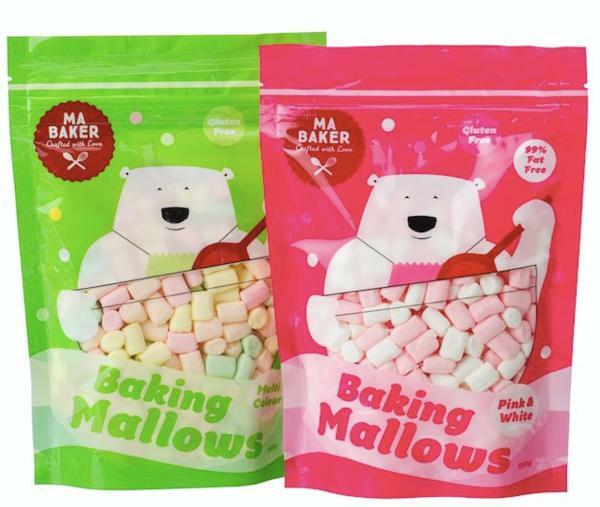 Ma Baker’s range of baking marshmallows have an exciting new look. The vivid, colourful and bold new packaging still contains the same great product which is Gluten Free and 99% Fat Free! Ma Baker is all about delightful, melt-in-the-mouth moments that are better shared with a friend. She brings you soft and delicious baking marshmallows – made with love and quality ingredients. They come in 2 varieties Pink & White Mallows and Multicolour Mallows both in a convenient 150g re-sealable bag. Treat your family and friends with delicious fare you will love to share! Ideal for any Baking occasion. Available across New Zealand at all leading retailers.